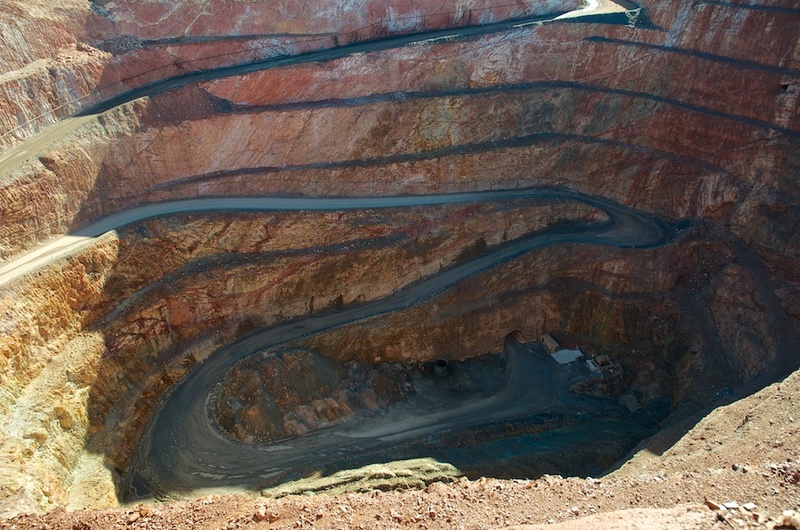 Cobar, over 700 km (440 miles) from Sydney, has seen mining activity in the area for well over 100 years. 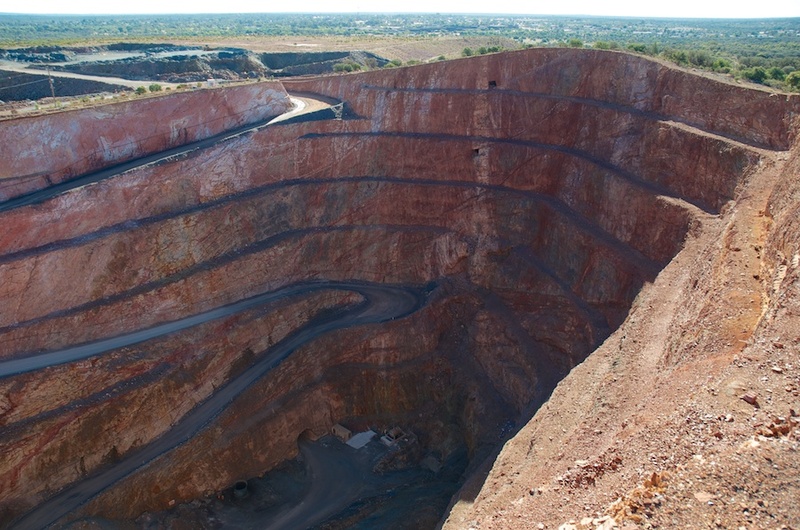 The latest project is the New Cobar Open Cut Gold Mine. The town of Cobar can just be made out in the distance behind the open cut mine. The tracks wind down the sides of the open cut to lead to the underground entrance. This image shows the details of a much older version of this mine, two horizontal mine shafts, before it was converted to being open cut. 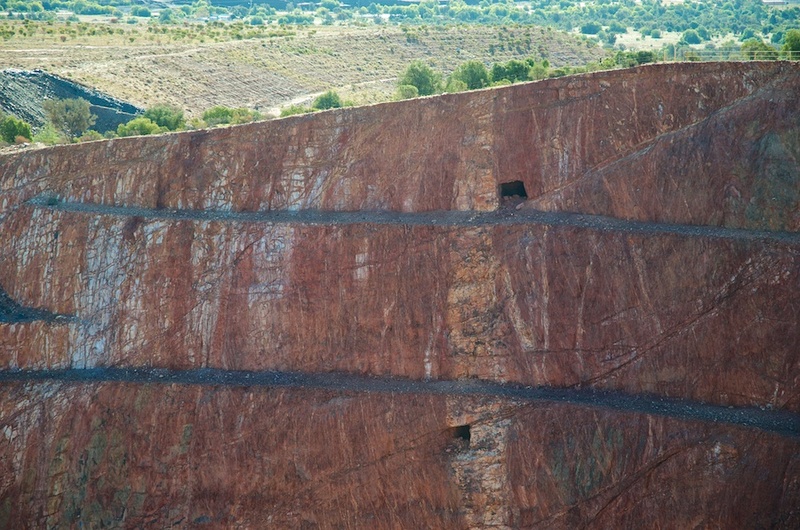 These are fascinating shots … I did not visit the mine at Cobar.